I love cute packaging, whether it’s a bag, mason jar, candy wrapper or even just a fun decorated cellophane bag! It just makes it all the more fun during the seasons, I think. 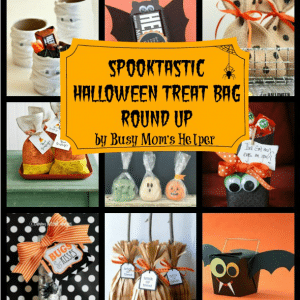 Whether you’re doing a party, just passing out to close friends, or because your kiddos need a nifty craft to get them in the mood, here’s a fabulous Halloween Treat Bag Round Up to get your creativity flowing! DIY Halloween Treat Bag from Live. Laugh. Rowe. What’s better than free? Free, easy, and adorable! 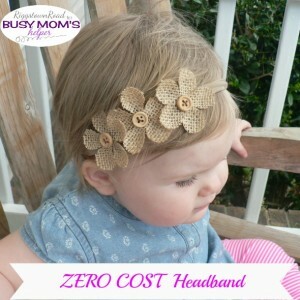 This ZERO COST Headband for your little one is all three. 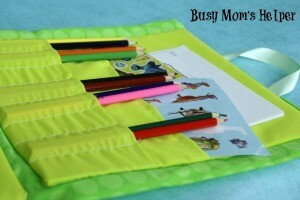 I’m Lynn, and I’m a busy mom just like you. And I’m on a budget. So…I like to save time and money. 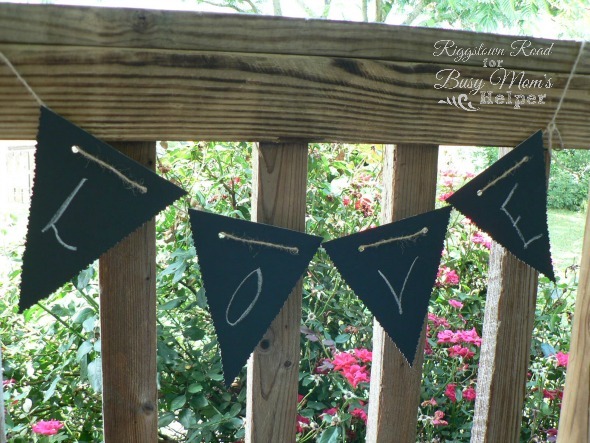 I love little projects like this headband that are quick and inexpensive, but still give me the cute look I’m after for my kiddos or my home. I have fun sharing those ideas here and at Riggstown Road! Now that winter is winding down, you might just be cleaning out your closets and drawers, weeding out those winter necessities and making room for spring wardrobes. You probably have some winter tights or stockings that your little girl wore for the winter that she won’t be able to wear next year, or even some of your own that you are no longer using. Instead of trashing them, turn ’em into some adorable headbands for your little ones. Cut one leg off the stockings. 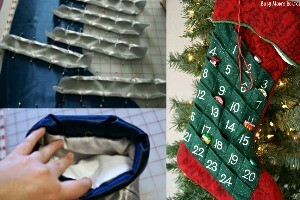 Cut the open leg of the stocking in half, then in half again. Take one of the four pieces, and roll it. Measure according to your child’s head, and trim some off if necessary. Form a circle, and insert one end of the roll into the other end, like in the pic above. Secure with hot glue on the inside, inconspicuously. 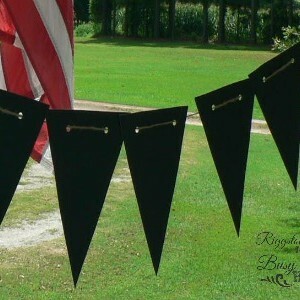 Add your flowers or other embellishments with hot glue. Just let the glue dry and you’re done! 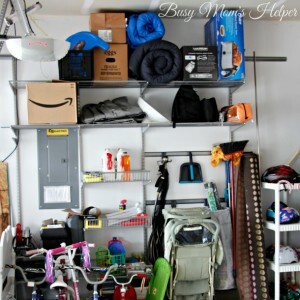 Be sure to check out these other money-saving tips and freebies! With my favorite holiday fast-approaching, I’m feeling festive. You, too? Then you’re gonna love this! 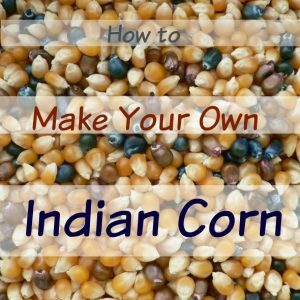 I’m showing you how to Make Your Own Indian Corn! I thought about how pretty it would be as part of my fall décor, and then I thought how pretty it would be if it were INDIAN CORN, which is just gorgeous. I decided to transform it. Besides it’s lovely colors, Indian corn has a connection to history, which I think makes everything more fun. Real Indian corn really was made into flour and corn meal by the Pilgrims and Indians we so often talk about at Thanksgiving. What a perfect time for some research with the kids! Nowadays, you can buy Indian corn in bundles at the supermarket, or even order the seeds, OR you can make your own autumn-colored kernels like I did. Add vinegar to each jar, enough to cover kernels. Drop a good amount of food coloring into each jar. Let sit for a while, until you’re happy with the intensity of the color. Drain the vinegar out of jars, and pour kernels onto pans lined with paper towels. Spread kernels out and allow to dry 24-48 hours. But the results are so worth it! To get brown, I combined red and green food coloring. I used a lot of drops to get deep colors, like the blue. When they were all dry, I combined the brown and blue ones (my favorite) with the natural popcorn kernels. You can look at real Indian corn for inspiration, and make color combinations that you love. There are a million ways to use this colorful corn. To see what I made with my d-y-e-d Indian corn, visit me at Riggstown Road! September 4, 2015 by Ashley Soderlund Ph.D.
Hello! 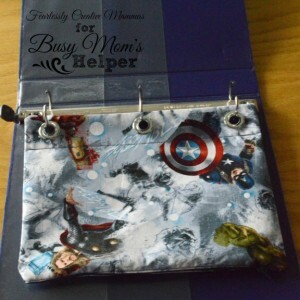 I’m excited to back here at Busy Mom’s Helper sharing a fun project with you today. 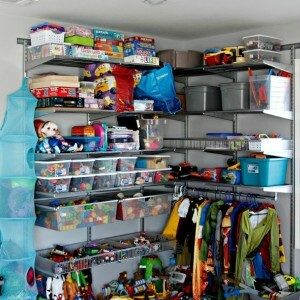 Are your kids into Legos or some other activity that involves creating something? I love all of the ideas you find on pinterest to save your children’s artwork and I do some of those things. We have a little art wall (here’s a tour of our playroom) and I take pictures of some of my son’s artwork to place in our photobooks. My son has fun doing art — but it’s not his favorite activity. Given the choice between building something or painting, he will chose building anyday! I think he likes that he can be precise with building toys and that he can play with them once they are built. I’ve also noticed he is really creative when he builds, especially with Legos. Since his very first tower I’ve been snapping picture of his creations because I wanted to capture that creativity. I didn’t really think about what I would do with the pictures and I didn’t really plan to keep taking them. Most of the time I would take a picture and text it to my husband at work, who also has a lifelong love of Legos and loves to see what we are up to during the day. This summer I had the idea to compile all of the pictures I’ve taken of my son’s Lego creations for the past two years into a photobook. I used their kid’s template Planes, Trains and Automobiles because many of my son’s creations are going things. 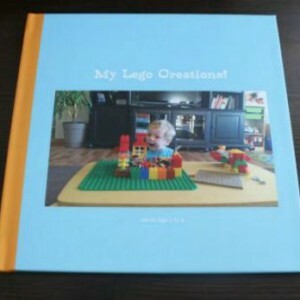 Tip: click on photobooks and then Kids themes to see a whole host of kid friendly templates. I did customize the template some just to fit with the pictures I had on the page. I think it turned out really cute. The best thing though? My son loves it! He was so excited to see his old creations and I was so surprised that as we paged through the book he remembered most of them and even had names for them, “that’s my rocket man, that’s my jet pack chug!, that’s my underwater machine!, that’s my jungle!” We have it in the living room and he looks through it often. I think it’s inspired even more creativity in him– he’s recreated some of his old ideas and expanded on them. To see what else we are doing with Legos check out my new series on Lego Scene Boxes! Schedule YOUR next Legoland or Disney vacation with Get Away Today now! Use Promo Code: BusyMomsHelper for $10 off your vacation package! Hi! Happy Summer! It’s me, Kathleen, from Fearlessly Creative Mammas here to share a secret with you. Here it is, I’m a sucker for cute little signs and plaques. I have a few around my house. I’ve made a few, bought a few and a few have been gifts. 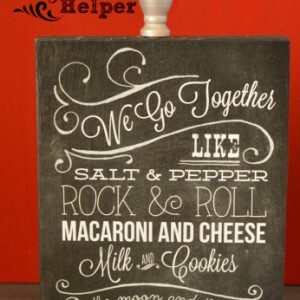 When I saw this paper at Wood Creations, I knew I had a make a We Go Together Plaque for our family room! It just perfectly describes my sweet hubby and I. I’m sure it describes lots of you too, so make one for yourself! !